Editing vBulletin 4.0 default graphics to match your customized style with the 4.0 GDK is very simple. 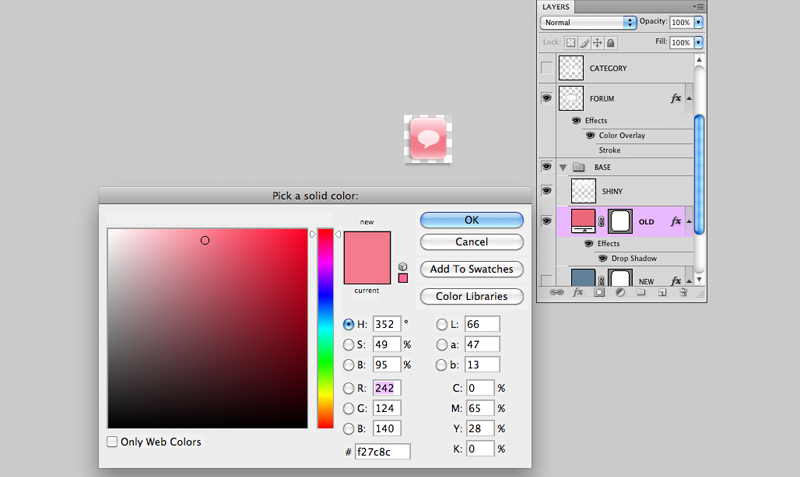 Here are a couple example cases of graphic customizations you can make on Adobe Photoshop (I'm using version CS4 here). 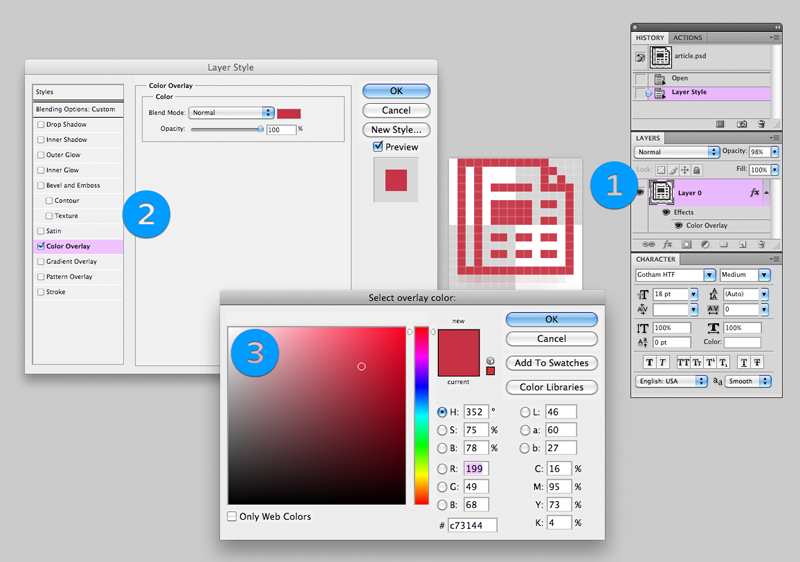 This includes the single-color and single-layer icons found in /buttons, /site_icons, etc. A simple Color Overlay changes the colors of these icons. In Photoshop, double-click the layer that contains the icon to open the Layer Style window (or right click the layer >> Blending Options), then click Color Overlay and set it to the desired color. Other graphics have multiple layers which you can edit separately in the Layer Style window. For the forum blocks tab (/misc/tab-collapsed.psd), I edited the Gradient Overlay and Stroke of the bottom layer and the Color Overlay of the top layer. The Forum and Thread status icon master PSDs (/statusicon/thread-status-master.psd and /statusicon/forum-status-master.psd) are inclusive of all the layers which denote various statuses. For instance, thread-status-master.psd is composed of Deleted, Replied, Closed, and Moved layers, Read and Unread layers, and the Base layers. Here, I edited the Fill of the Base layer and the Color Overlay of the Unread layer to fit my style. Similar changes to the base of forum status icon. Of course, you can swap out the images directory files completely without using the GDK as frame of reference. However, keep in mind that changing the dimensions of the images can cause layout issues, so template edits will probably be a necessary accompaniment to image dimensional changes. For inspiration, this thread has a great collection of custom skins. Happy modding! After downloading the ZIP again, I notice it hasn't been updated since last January. Will there be an update soon for the icons used in the Mobile style? Do you need to have photoshop to use this? I get lost once I have unzipped the files..Can someone help? Getting error that it is not there. Is there reason I can't download this? All times are GMT-8. This page was generated at 10:01am.